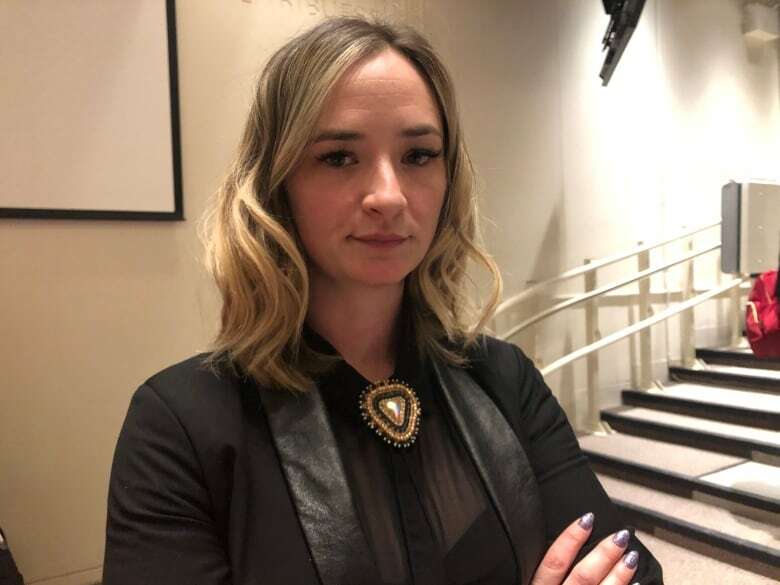 To curb the overrepresentation of Indigenous people in jails, Anishinaabe criminal lawyer Promise Holmes Skinner says an Indigenous person's history needs to be considered at earlier stages in the criminal justice system. If Gladue factors were taken into consideration across the board instead of just at sentencing, it would reduce the number of Indigenous people pleading guilty to things that they haven't done to get out of jail faster, says an Anishinaabe criminal lawyer. The Supreme Court of Canada's 1999 Gladue ruling says sentencing judges must take into consideration the influence of things such as residential schools, the Sixties Scoop or child welfare system on Indigenous offenders. 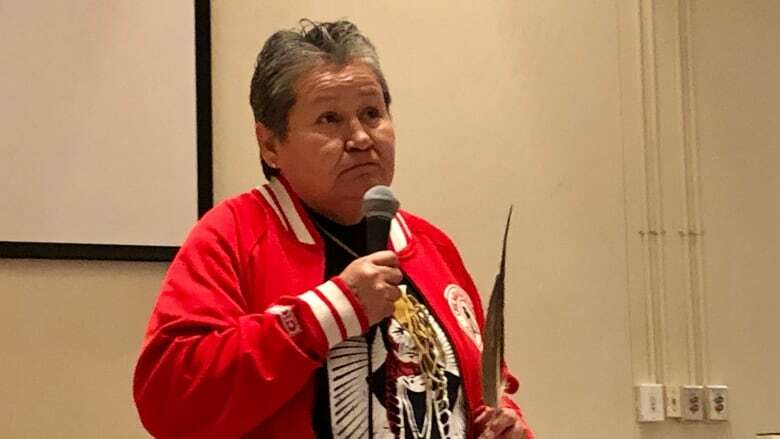 Joey Twins, a 61-year-old Cree woman from Alberta, shared her story with a group of law students at McGill University on Tuesday night as a part of the Innocence McGill's annual conference in Montreal. Twins says she was coerced into pleading guilty to a second-degree murder charge in 1979 as a result of systemic racism in Canada's justice system. "My lawyer told me to plead. If I didn't plead life 10, I would have got life 25 at a trial. I had no choice and I didn't know the law," said Twins. This year's Innocence McGill conference focused on the relationship between Indigenous Peoples and the Canadian criminal justice system. "Indigenous Peoples are severely overrepresented in the criminal justice and prison systems," said Kayla Tink, co-director of Innocence McGill. "There is reason to believe they are also wrongly convicted at higher rates, but the system doesn't function in a vacuum. There are broader societal issues that have contributed to where we are now, like racism and colonialism and we must confront them." Anishinaabe criminal lawyer Promise Holmes Skinner says situations like Twin's case are still happening to Indigenous people throughout Canada's justice system. She wants the principles behind Gladue reports to be applied beyond sentencing. "Wherever the system has the opportunity to remedy its failures, it should be imposing whatever system, tools, and open-mindedness that it has the opportunity to do," said Holmes Skinner, who was the Gladue Program Specialist at Aboriginal Legal Services of Toronto from 2015 to 2018. 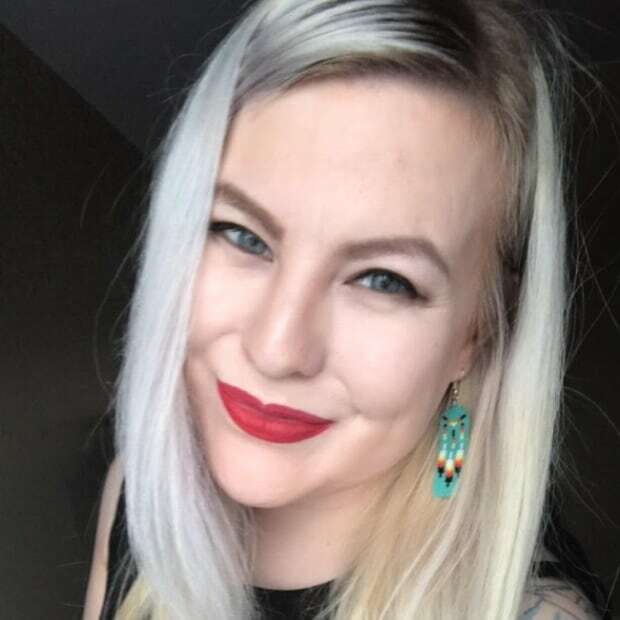 One of those opportunities, she says, is to apply Gladue factors beginning at bail hearings, to help curb the number of Indigenous people pleading guilty to crimes they did not commit. "It's a really tragic, common experience in courts," said Holmes Skinner. "A lot of people plead guilty to things that they haven't done for various reasons. We heard about one very real reason from Joey. Another reason that is a huge problem in this country is that people will get out of jail faster than if they have a trial." She said pleading guilty contributes to a revolving door of injustices for Indigenous offenders because previous convictions can be used against them in future criminal cases. "All courts have to consider the context of the convictions they want to use against the individual and they must look at those convictions through a Gladue lens to try to minimize the opportunity for wrongful convictions."